I always meant to pick up the tarte lights camera lashes 4-in-1 mascara when browsing through Sephora but never seemed to grab it. I always got sidetracked by all the awesome-y goodness going on in there. Basically, I lose my mind. Going into Sephora without a list is just a credit card beat up waiting to happen. So when I received this mascara in one of my Ipsy bags I was pretty stoked. tarte is known for it good-for-you ingredients in its products. 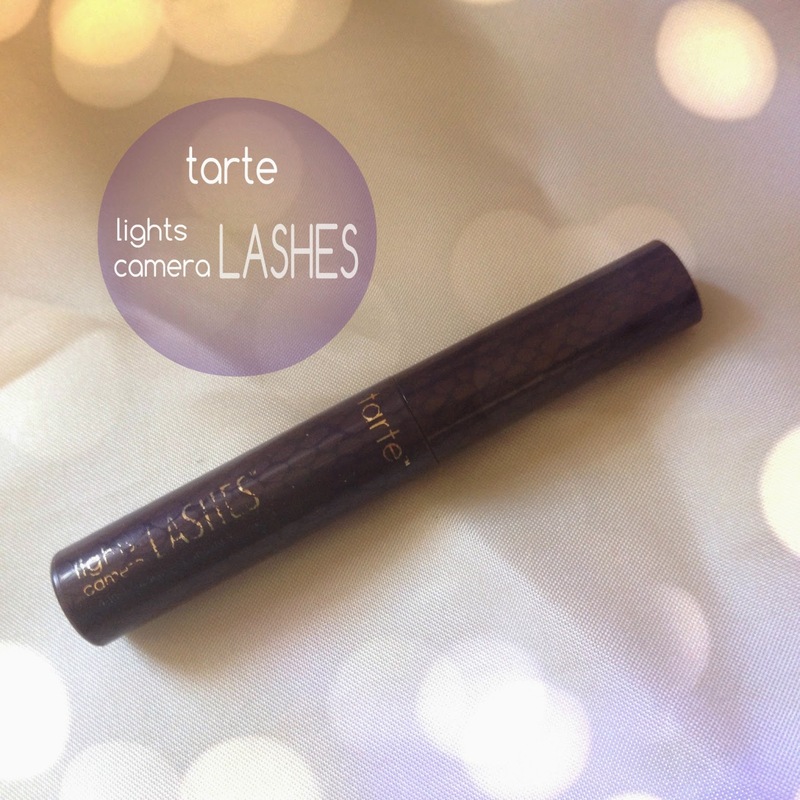 tarte lights camera lashes 4-in-1 mascara is formulated with olive esters that condition and protect lashes while containing no parabens, mineral oil, phthalates, or sodium lauryl sulfates. The packaging on the full sized mascara is a purple python faux pouch encasing the mascara. The mini version has the faux snake print on it too. 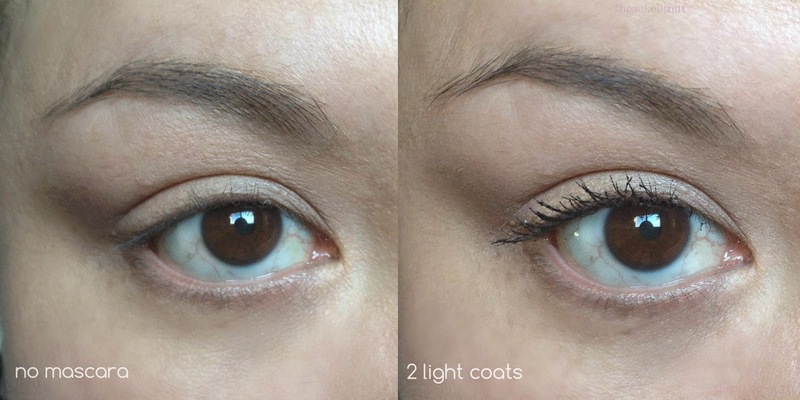 But it’s all about the formula with this mascara which is a bit on the thicker side. I kept it to two light coats otherwise I found things get a little spidery which is not a look I tend to go for. There was no smudging but I did notice a tiny bit of flaking at the end of the day but I was sort of rubbing my eyes by then. This mascara came off so easily. No need for oil makeup remover here. A plus, lights camera lashes kept my lashes curled all day (when I remembered to curl them). I wasn’t even expecting that. I was even asked what I was using! That always feels good when someone notices. Final verdict: If you like full fluttery natural looking lashes, then you really need to give tarte lights camera lashes 4-in-1 mascara a go. Full sized 0.24oz: $24CDN/$20USD Mini 0.13oz: $12CDN/$10USD. Available at Sephora. I would need more layers..